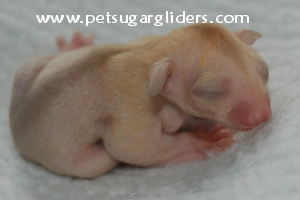 At this stage, you can hold the joey about four to ten minutes at a time. 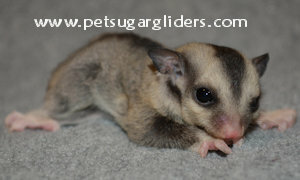 The joey will most likely cry for mom while you are holding it. 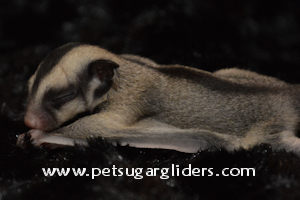 Try placing the joey in a loose pocket, bra or cupped hands to calm the joey. 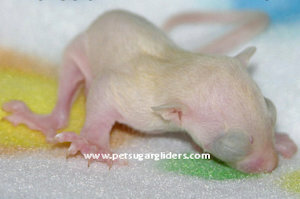 The mother may exhibit signs of nervousness the first few times you hold the joeys outside of her site. 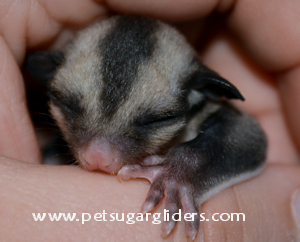 To build trust with the mother, walkout of her view for a minute or two at a time before putting the joey back into the nest. Speak softly to the baby so that it becomes accustom to your voice. 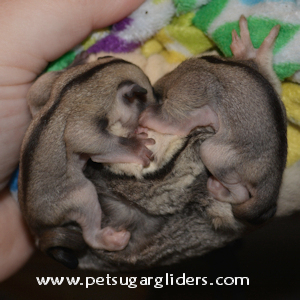 Shortly after the joey comes out of pouch, the parents may decide to mate again. 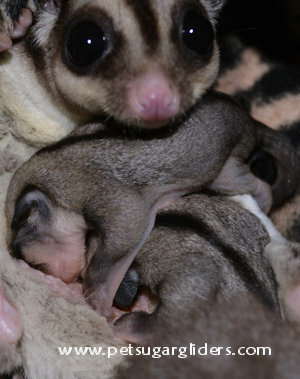 It is possible for her to give birth to a new joey and while nursing one that is recently out of pouch. 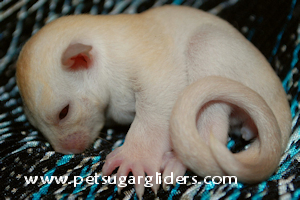 Size - Size and weight becomes difficult to break down into age categories as joeys mature. 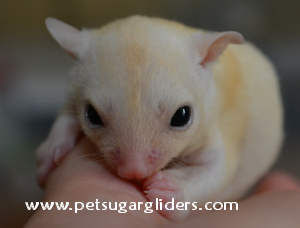 Captive sugar gliders vary greatly in size and build. 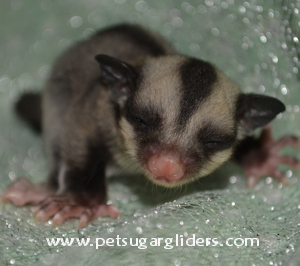 The main concern with joey development is that the joey continues to gain weight and mature. The ranges given here are approximate.